When you&apos;re an adult, the phrase "sleep tight, don&apos;t let the bed bugs bite," doesn&apos;t have such a cutesy meaning as when you were a kid. And to make you scratch as you&apos;re reading this, it turns out that Los Angeles has scored fourth place in having the most bed bugs in any city. Pest control service Terminix released this week their annual ranking of the most bed bug-infested cities in the United States, according to Boing Boing. The top one on the list was Detroit, Mich., which dethroned Philadelphia from the first place spot for the first time in four years. Surprisingly, New York City was at the bottom at 15, despite having some recent blood-sucking run-ins at the Times Square AMC Theater. Terminix compiled this list using the highest volume of calls they received from Jan. 1, 2015 to Dec. 17, 2015. What&apos;s freaky though is that when you compare this to Terminix&apos;s 2014 list, which took a look at the dates Jan. 1, 2014 to June 30, 2014, L.A. was ranked at number 14. We&apos;ve jumped up 10 spots since then. Though, comparing an entire 2015 year to a half 2014 year isn&apos;t completely equal. "We&apos;ve seen a steady increase in bed bugs since the 1990s, which has been influenced by increased international travel and infestations left untreated," Paul Curtis, manager, technical services at Terminix, said in a statement. "Most of the cities in our top 15 are big tourist and business destinations, making travelers even more at risk for encounters with bed bugs — whether it&apos;s on the plane, at their hotel, in a movie theater or riding in a taxi. 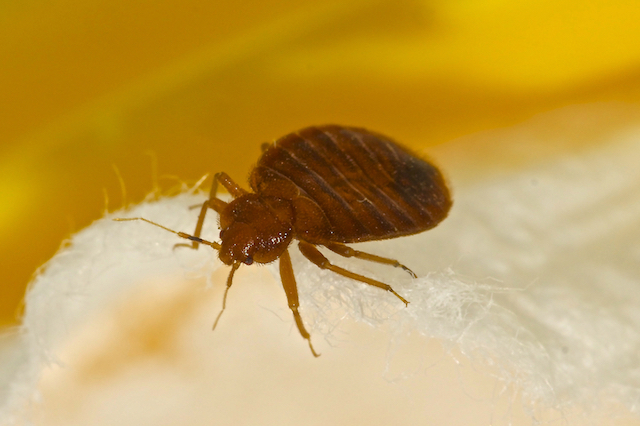 The name &apos;bed bug&apos; is deceptive, as these pests can thrive just about anywhere." Bed bugs are never fun, and pretty much give us nightmares. If you&apos;re ever unfortunate enough to experience these critters, here&apos;s some info about it from the California Department of Public Health. Bedtime reading, if you will.